Today: Plimsoll.com sold for $5,653 / New .ASIA domain registrations for $4.39 / Buying one word .co, .tv, .xyz and CVCV.co / And more! 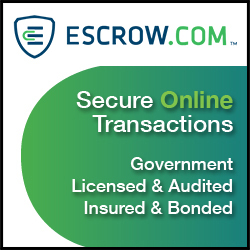 Paypal or Escrow for outbound sales? – Which payment processor are you using to facilitate your outbound sales transactions? Is one better or safer than another? Take a look at what other domain investors are saying. Looking for GEO and EMD .coms – Do you have any domains laying around and collecting dust in your domain portfolio that are Geo or EMD that you would take up to $5.00 for? If so, check out this buyers guideline. SelfieBackgrounds.com – Is that thing? I suppose it could be for green screen or app users trying to make it look like they were somewhere they weren’t. What do you think a domain like this is worth in today’s market? Buying one word .co, .tv, .xyz and CVCV.co – This buyer is looking for rock bottom wholesale prices on domains you want to liquidate that match their specified criteria. If you’re looking to lighten your portfolio, check this out. New .ASIA domain registrations for $4.39 – Are you inking about investing in .asia new gTLD’s? If you’re on the fence, this new registration promotion might help you decide. Plimsoll.com sold for $5,653 – That’s not a bad mid0four-digit domain name sales report for a eight-letter, brandable, .com domain. Do you think it should have sold for more or less than what it sold for? Domain as gifts instead of presents – Have you ever gifted a domain to someone on a holiday, birthday, or other occasion instead of buying a physical present? How did they react? Check out what other domain investors are saying.